If you are looking for a way to establish your brand, get more traffic to your website and advertise your business online, to start a blog is a great way to begin. Creating a blog for your site gives you a 434% higher likelihood of being highly ranked on search engines like Google. When you do a search on search engines, they crawl all sites with content related to the topic you typed, trying to find the ones that are most complete, best rated, and updated. For this, Google and other search engines do a reading of keywords, terms related to what you are looking for. That’s where the Blog comes in. Using a blog, you can produce relevant content for your website through weekly posts, for example. When you do a search, Google finds your keywords, content posted and updated, and understands that what you are sharing is recent and relevant, giving priority to your site in the results that will appear to the user. To start a blog also helps you position yourself as an authority in your niche. It’s one thing to tell people on a sales page that you have 10 years of experience. Another is to prove your knowledge through informative posts. And the better news yet? Starting a blog to support your business is not difficult. Set-up is easy, and if you keep a timeline to create content, maintenance is also simple. Here’s a step-by-step guide on how to start a blog. The beauty of blogging is that you really do not need anything to get started except from a computer and the Internet. Buying your domain name as well as customizing your business helps differentiate it from competition. Doing this costs only a few dollars and makes you look more professional than if you were blogging in a .blogspot or .wordpress URL. You can buy domain names in Google Domains, for example, where you can set up your custom email account with your new domain. Other good options are the NameCheap, Hover and GoDaddy. Think of the domain name as your address and the hosting provider as your home. Paying for hosting is like renting an apartment, and your hosting provider is your landlord. You can host your blog through providers such as Hostgator or BlueHost, or create a blog with WordPress, for example, one of the best content management tools of the moment. Your visitors will spend some time on your blog, so it is important that it is nice and well organized. If you are going to start a blog from scratch, the tip to set the layout is to visit some blogs that you like and get good ideas. Tools like WordPress, in turn, provide ready-made layouts, and you just set which ones you like the most. The visual configuration of a blog is one of the hardest parts and one that you should pay close attention to. Remember that it is important to prioritize the organization of the text and readability. As your main goal to start a blog is to support your online business, be sure to produce relevant content to your target audience. It sounds basic, but it’s easy to lose focus and blog about everything under the sun. Think of your blog as a tool to encourage your audience to buy. 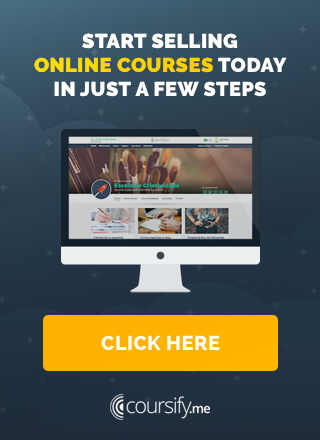 Create content that will get interested people ready to take your online course. 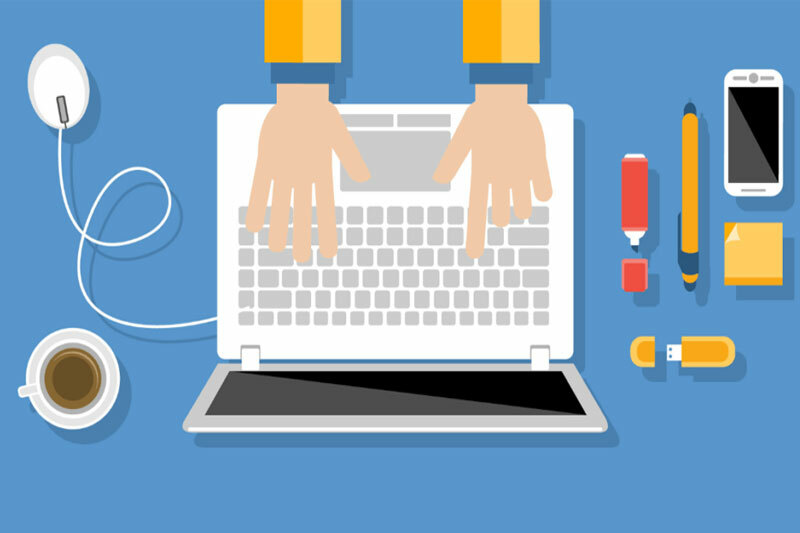 Once you’ve done all the steps listed above, you’re almost ready to launch your blog. But hold the excitement, because before pushing the “publish now” button, there are a few more factors that you should consider. Before you click “publish”, create a backlog of posts that are ready to go. Have multiple posts published on launch day so your audience has more than just one thing to read. It is important to publish consistently, and unforeseen events may prevent you from writing regularly. Leave 2 to 3 posts saved, ready to be published when you need them. To establish your brand, you need to have a well-defined visual identity. That is, when creating a blog, make sure it looks like the rest of your business. A website with a cohesive brand and professional image helps visitors to see you as an authority. If you already have an active online business, use the same visual elements in your blog, such as logo and color palette. One of the most important things to promote your online business is your email list, and when you start a blog you have endless opportunities to get more subscribers. One of the easiest things you can do to collect email addresses is to offer rich materials within your posts. A rich material is a bonus material, such as an e-book or video, that your audience can access by registering their email. Defining an editorial calendar, that is, an agenda of postings and topics to be addressed, can help you to be more productive. This tool works like a visual timeline, showing exactly what you need to do and when. Also, putting your content in a calendar helps you plan for seasonal events you want to write about, such as holidays and important dates. You also need to enter some business information and the famous CTAs (call to action) buttons. The blog serves to inform your target audience, so insert your CTAs without exaggeration, subtly. Note that in the navigation bar the topics covered in the blog are listed and, at the end, a button in different color has been inserted, inviting the reader to enter the site and begin their course. On the side, a banner also acts as a call to action, visible, yet discreet and well integrated to the rest of the page, maintaining the same visual identity. Okay, now you can already press on “publish now” and put your blog online. Once your blog is up and running, there are some actions you can take to help drive your blog traffic to your business. Your site’s navigation bar should display your most important links, no more than 6 or 7, and the same principle applies to your blog. This makes people click on what is more important to both your business and to those who are interested in your product/service. Note that in the navigation bar of the Coursify.me blog the “Get Started” button links to the main page of the site. Likewise, a link to the Blog has been placed on the homepage to make it easier for the visitor to search for more information about online courses. If the purpose of your blog is to promote your business online, be sure to mention it and link it to your posts. During or at the end of each post, you can assign a simple paragraph (or more) to talk about how your product/service is the solution to the problem presented in the text, or relates to the topic covered. Remember that the more links you point to your company page, the greater the likelihood that the public will click and become a customer. To really convince your readers to subscribe to your email list, you need to offer qualified content for free first. Enter the offer of rich, special materials, among your regular posts, thus requesting the registration of an email for access. To convince your first subscribers and give them confidence, you can even offer the first lesson of one of the courses you have already created as bonus material. In addition to increasing your mailing, if subscribers like the lesson, they will be more likely to dive and buy the entire course. If you are still thinking about to start a blog, there is no better time than the present. Close to the effort you put into doing your online course, starting the blog is nothing and may just be what was missing to boost your course. Follow the step by step we teach, keep a consistent schedule of updates and draw your audience to you. Remember that in addition to informing your audience, a blog helps you to prove your authority on the subject and gives more confidence to anyone who is considering acquiring your course. 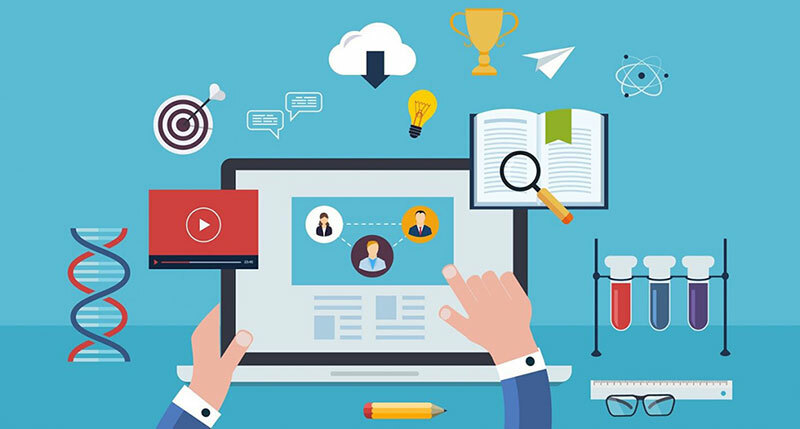 Inbound and Content Marketing strategy, with a well-planned and consistent posting schedule, you’ll be able to improve your site’s position on search engines and drive more traffic to your page. 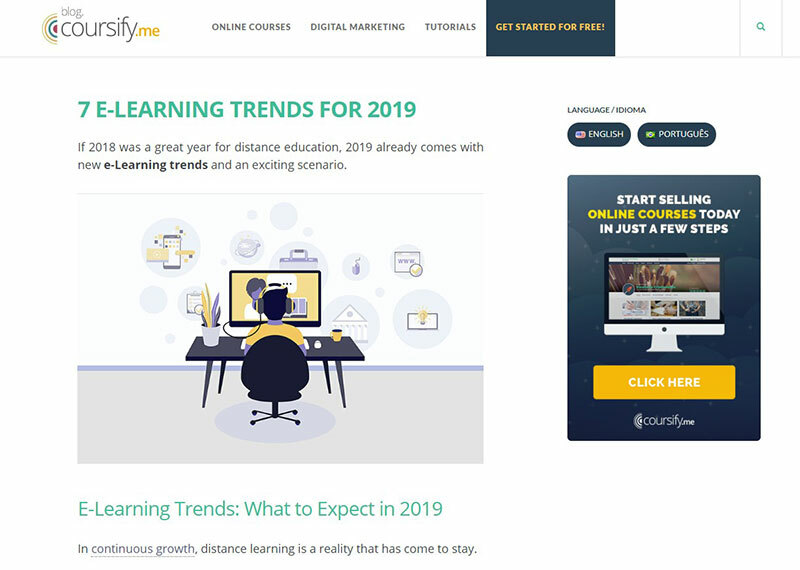 Coursify.me is a completely dynamic and customizable hosting platform that supports and provides resources for those who want to create, promote and sell online courses. Present in more than 60 countries, Coursify.me is the perfect solution for you to have your own business without having to invest anything to get started. Visit our website, test the platform and know why we are the best option for you.